When food establishments are granted health permits by the city, they make sure that their products are safe and that the process to make them is safe. In Saskatchewan, food establishments are governed by the Food Safety Regulations, under the Public Health Act of 1994. The regulations require food establishments to ensure that all their employees are adequately trained in food safety, as well as having a trained staff member present at all times (if not all employees are trained and certified). All establishments in Saskatoon are expected to abide by these regulations. Take food safety certification programs with Saskatoon First Aid for low prices and great teachers. On-line and in class courses are available. All of these regulation were written in order to ensure that the products purchased and consumed by customers are safe for public consumption, decreasing the risk of acquiring foodborne illnesses. The rest of the act focuses on general work and product safety in the food establishment – both in terms of personnel and the establishment itself. There are two levels of food safety available at Saskatoon First Aid. We encourage everyone to apply for training, both supervisory and non-supervisory staff members. The two levels focus on different topics but the focus is always placed on safe food handling and sanitation. Note: Students have to take food safety level one training before enrolling in food safety level two. Safety is an important concept in food preparation. Anything that we ingest or goes in our mouths has the potential of infecting us with dangerous microorganisms and chemicals. Though food is a source of nutrition that our bodies need in order to function, it can also become a source of illness – especially if food is handle improperly. Wash your hands! As a food service worker (or even if you just cook at home), it is important to make sure that your hands are free from anything that can contaminate food. Before, after, and during food preparation are all times to practice proper hand hygiene. Don’t forget to wash your hands before and after handling anything raw – both meat and produce! Sanitize your work area. 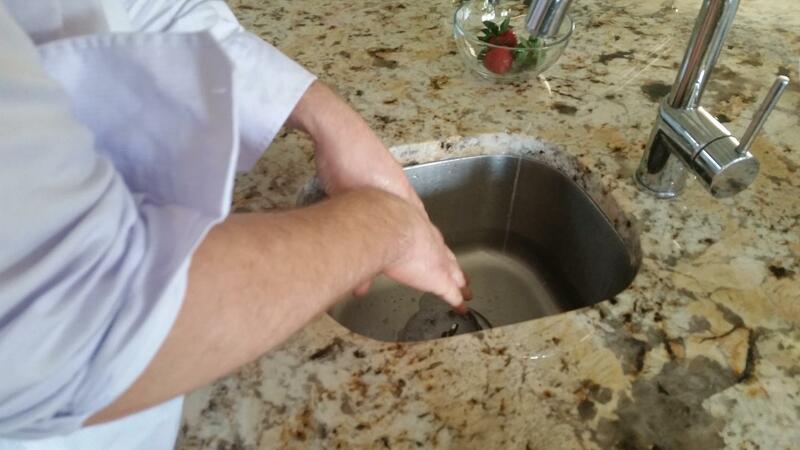 Sanitation includes cleaning work surfaces as well as utensils and other implements used during preparation. What good are clean hands and food if what you use to prepare them isn’t? Store food at optimum temperatures. Food that isn’t going to be cooked immediately should be stored in the refrigerator. When food is left out at room temperature for too long, it can cause bacteria to thrive and lead to foodborne illness when the product is consumed.